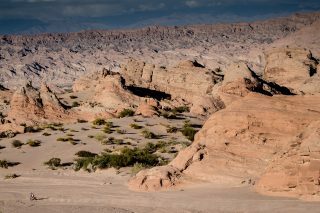 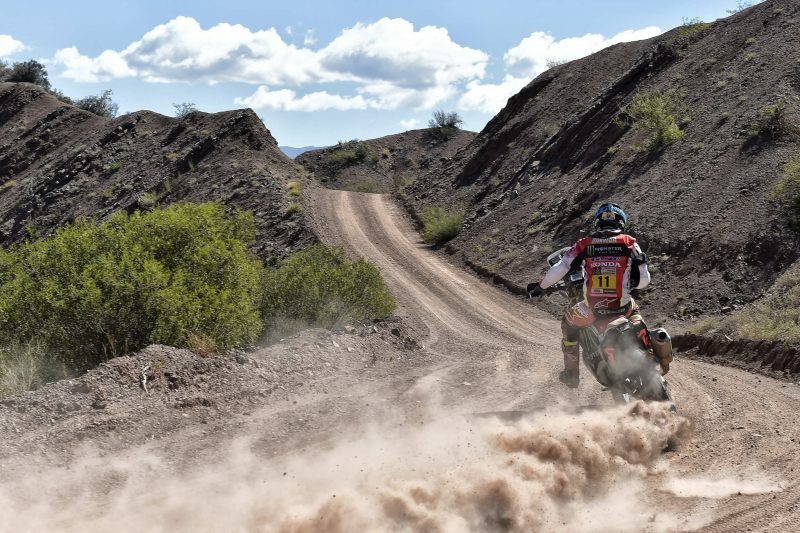 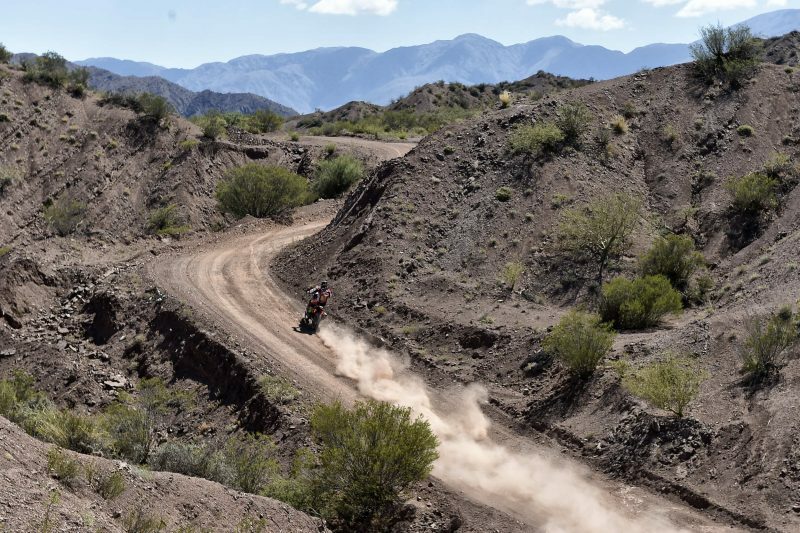 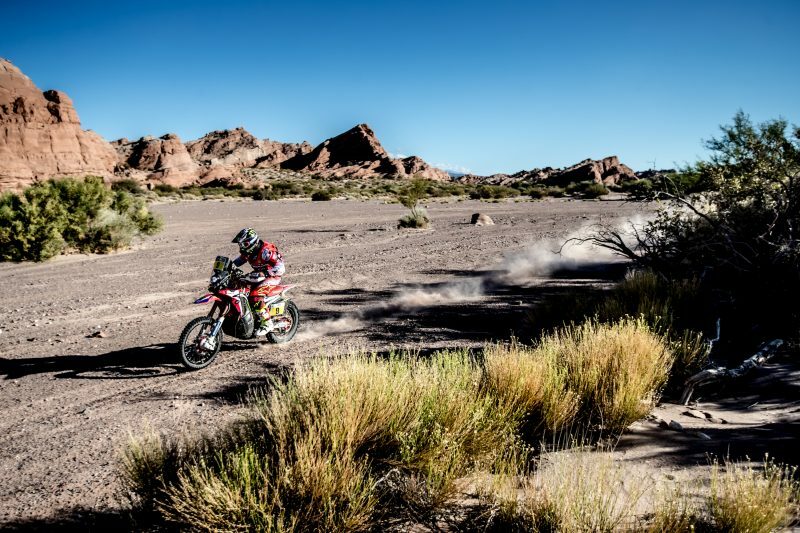 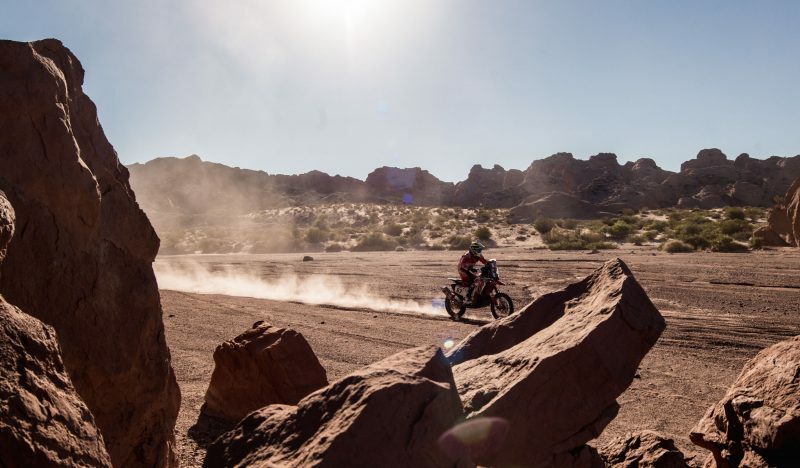 The natural disasters of two days ago in Jujuy and the cancelation of the ninth stage yesterday are now history and today the Dakar Rally was back on its scheduled route. 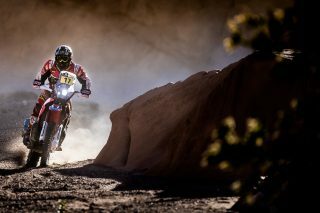 In the suffocating regions of La Rioja and San Juan, the Monster Energy Honda Team grabbed the glory with a stage win. The Dakar got back to relative ‘normality’ with a full-length stage, free from diversions or detours. 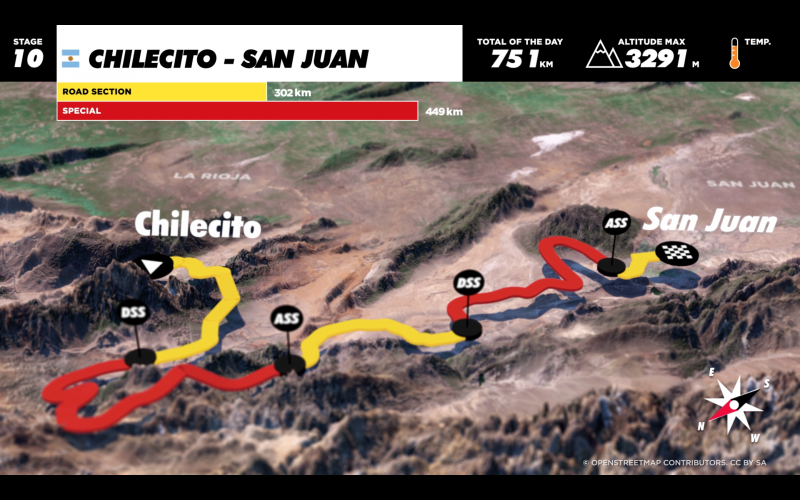 The 449 kilometres against the clock on the route from Chilecito-San Juan turned out to be the longest one disputed so far in the 2017 edition of the race. 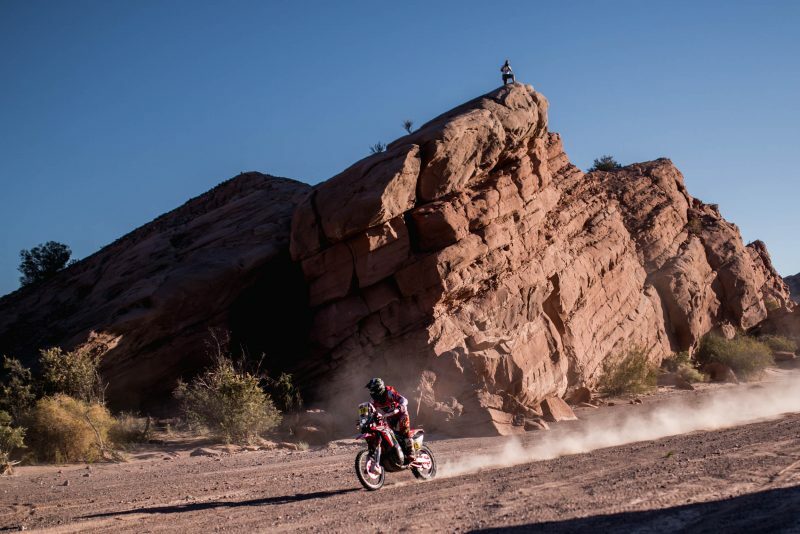 With baking 45-degree temperatures – even reaching 50 in the saddle – riders had to endure one of the most physically gruelling stages, as well as having to deal with highly demanding navigation over the opening stretches of the stage. 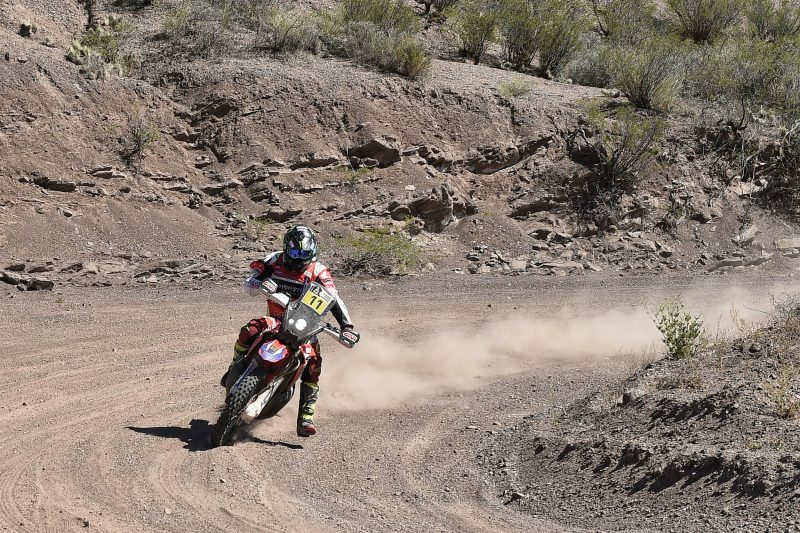 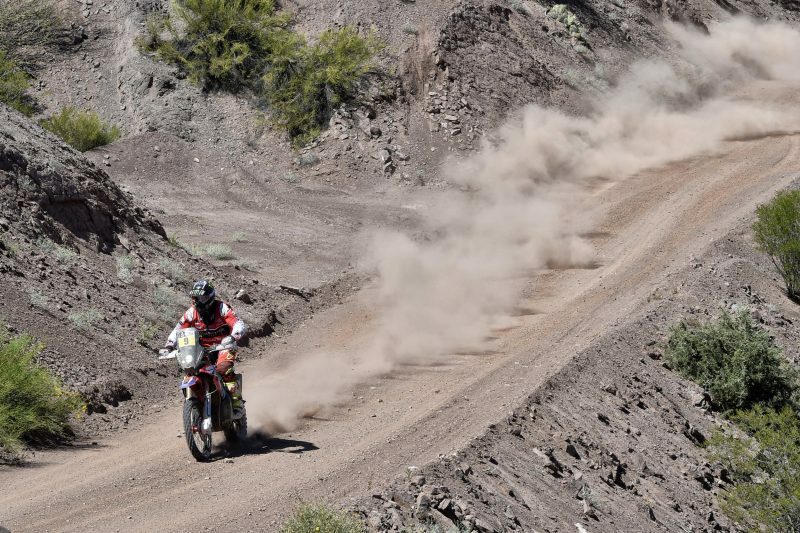 The second section – finishing in San Juan – was a speedier affair, albeit with technical complications. Riders will try and rest tonight in the heat of the El Zonda racing circuit. 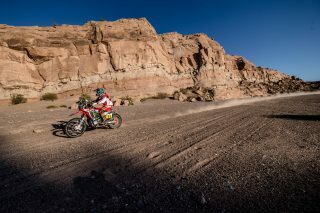 Joan Barreda opened the track throughout the day with near-flawless navigation except for a very slight deviation at kilometre 53. Luckily, team-mate Michael Metge was on hand to confirm the correct direction. 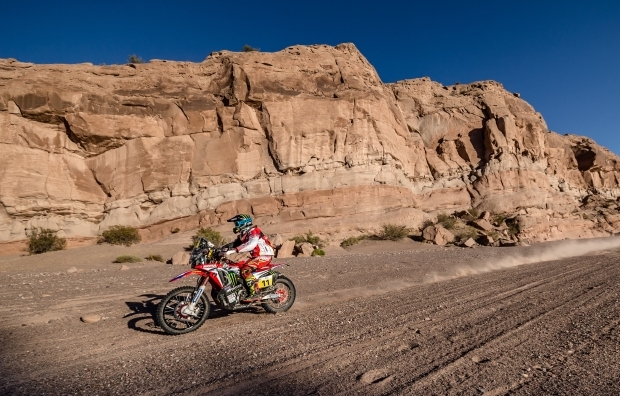 Both, with the Honda CRF450 RALLY, were soon spearheading the field towards the destination in San Juan. 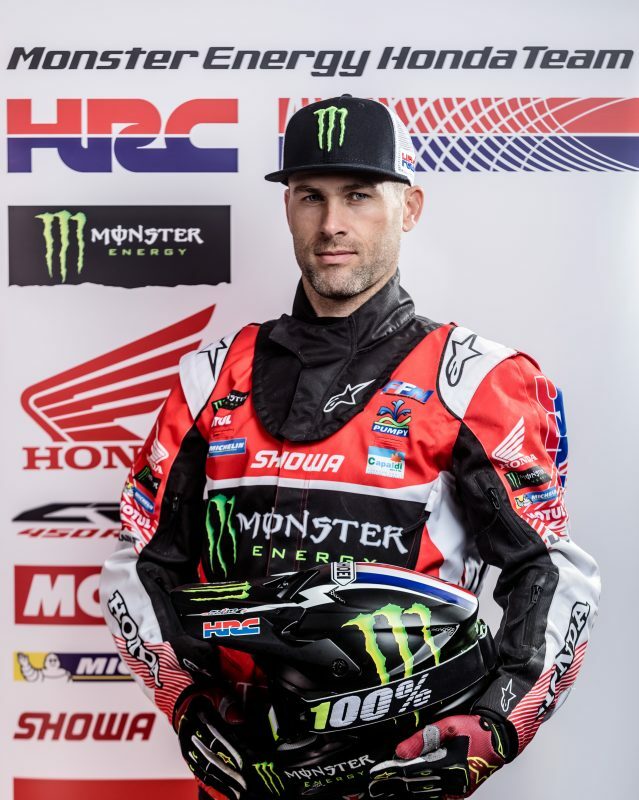 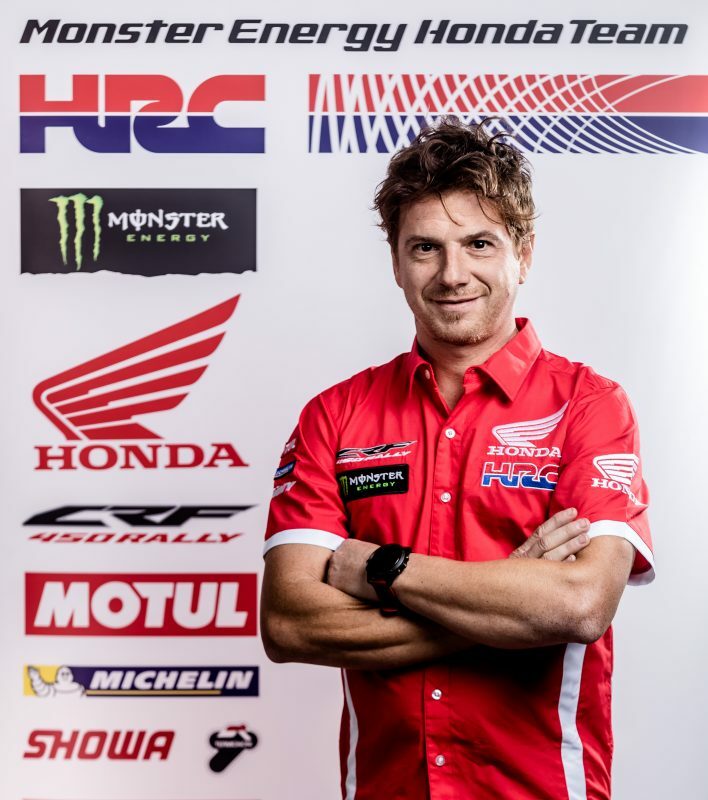 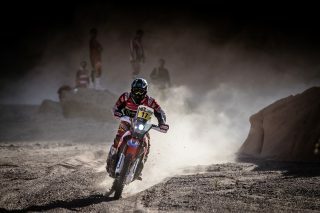 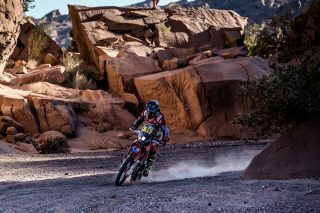 Metge scored the day’s best time, clinching his first Dakar stage win in the process; although later he was sanctioned for having missed a waypoint. 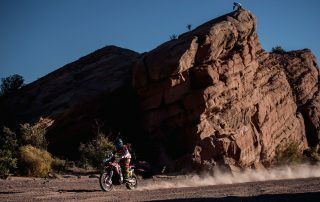 The French rider’s route is currently being subjected to scrutiny. 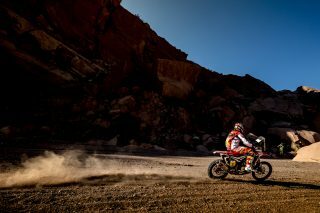 The penalty means that the day’s top honours fall on Joan Barreda, who consequently collects a third Dakar 2017 stage victory and the second in succession. 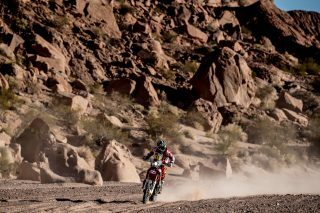 The Monster Energy Honda Team rider is fifth in the general standings, less than an hour behind the overall race leader. 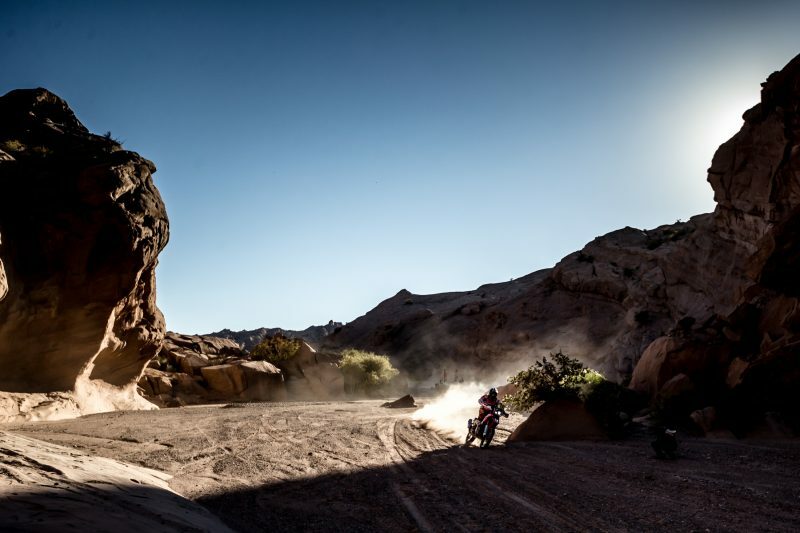 Paulo Gonçalves dropped precious time whilst searching for one of the more elusive waypoints in this Dakar. Once verified, the Portuguese put pedal to the metal in an attempt to make up the lost time. By the end of the special he had finished some eight minutes adrift of the winner on the day. Ricky Brabec was unable to finish in the way he had hoped. 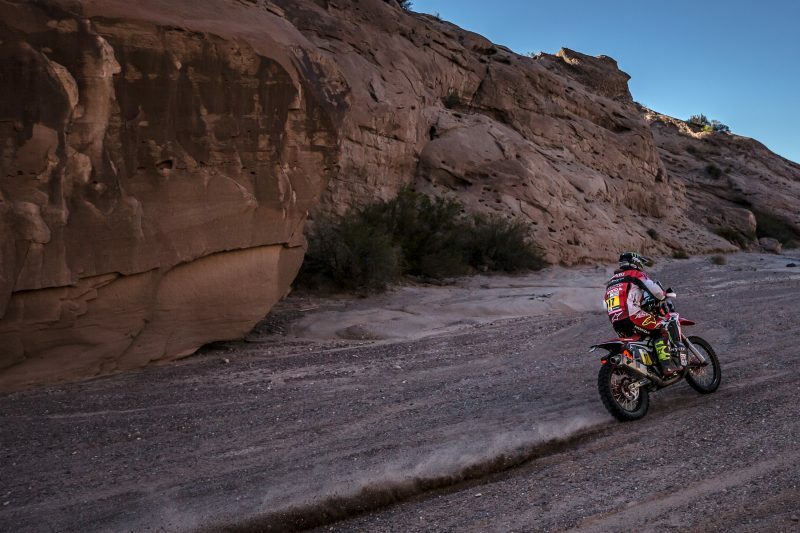 After starting the day out from behind and immediately pulling pack several positions, the American maintained a scorching pace and at one time even led the race. 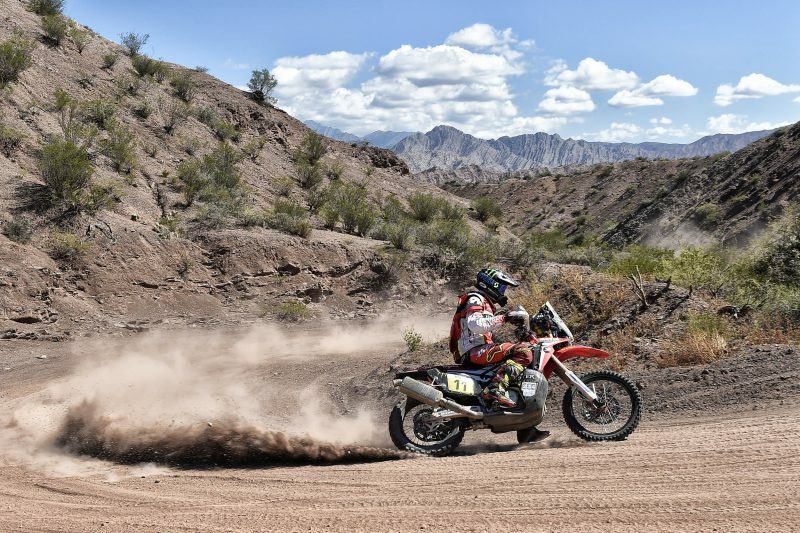 An apparent radiator problem put an end to his intentions and the Californian was forced to slow the pace down and eventually made it back to the bivouac with a tow from another rider. 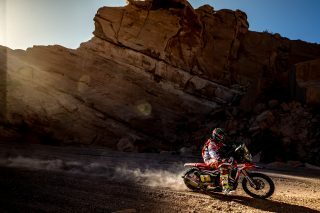 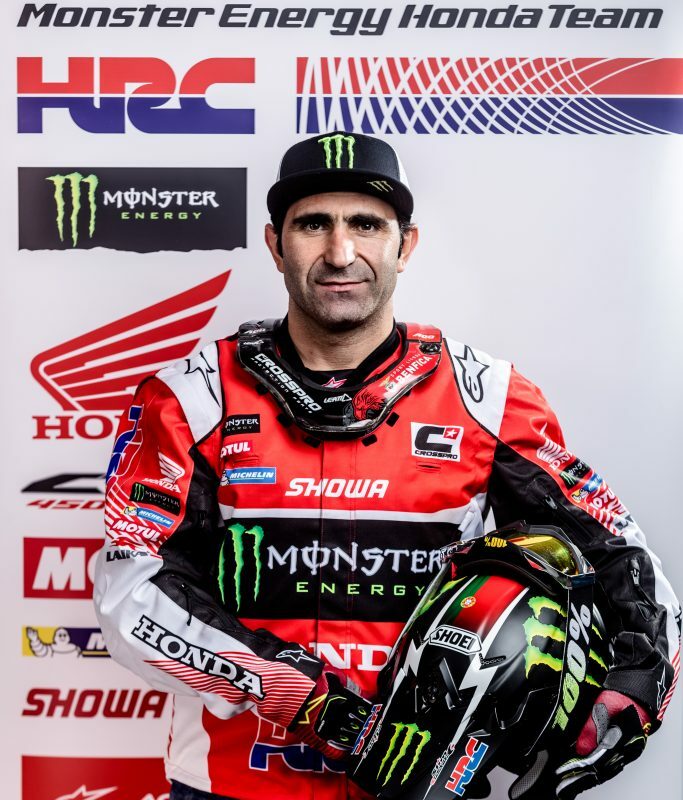 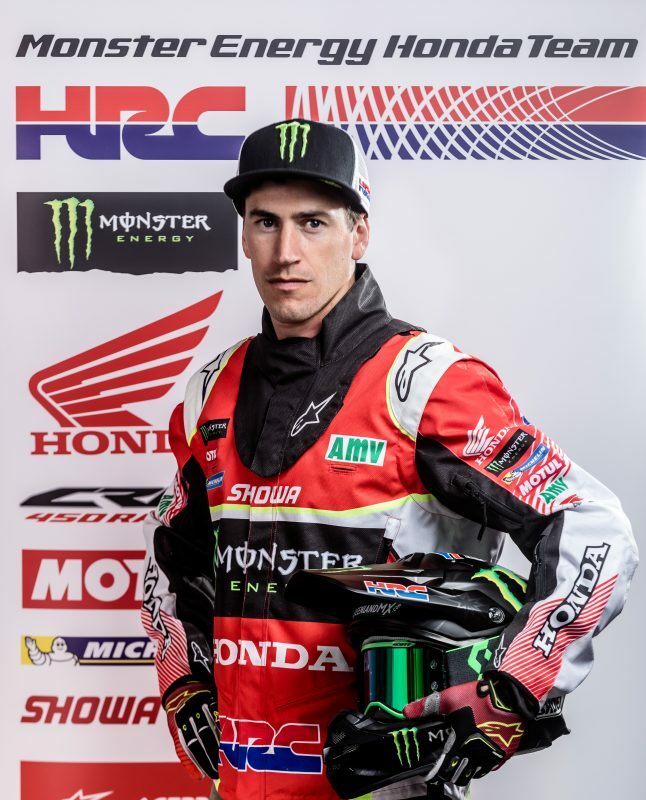 Barreda’s third win, together with the triumph of Brabec in the seventh stage, means the Monster Energy Honda Team tally rises to four victories – half of the stages disputed so far. The San Juan dunes, which will come in the first 50 kilometres of the special stage will be the final to surf on the 2017 Dakar. 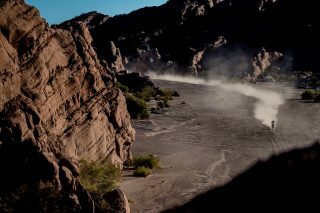 Those who best handle sliding and the racing line will be right at home on the WRC like tracks of the Córdoba region. 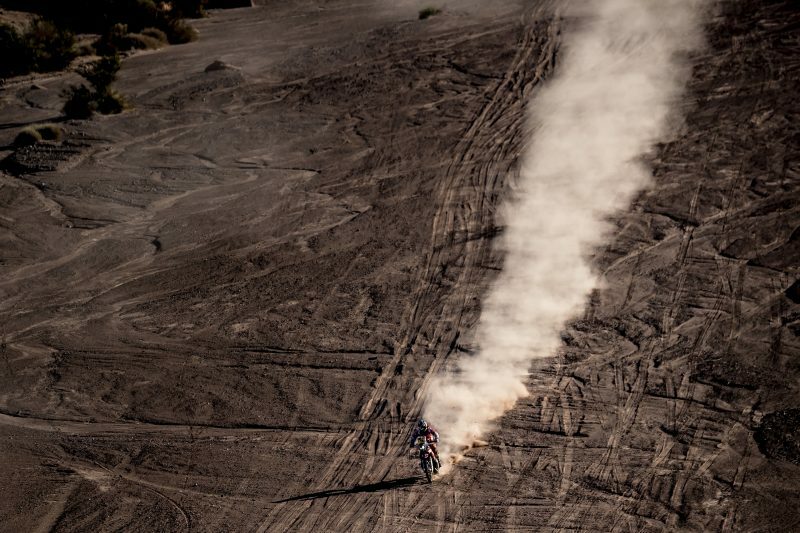 Everyone knows that a surprise can come at any moment. 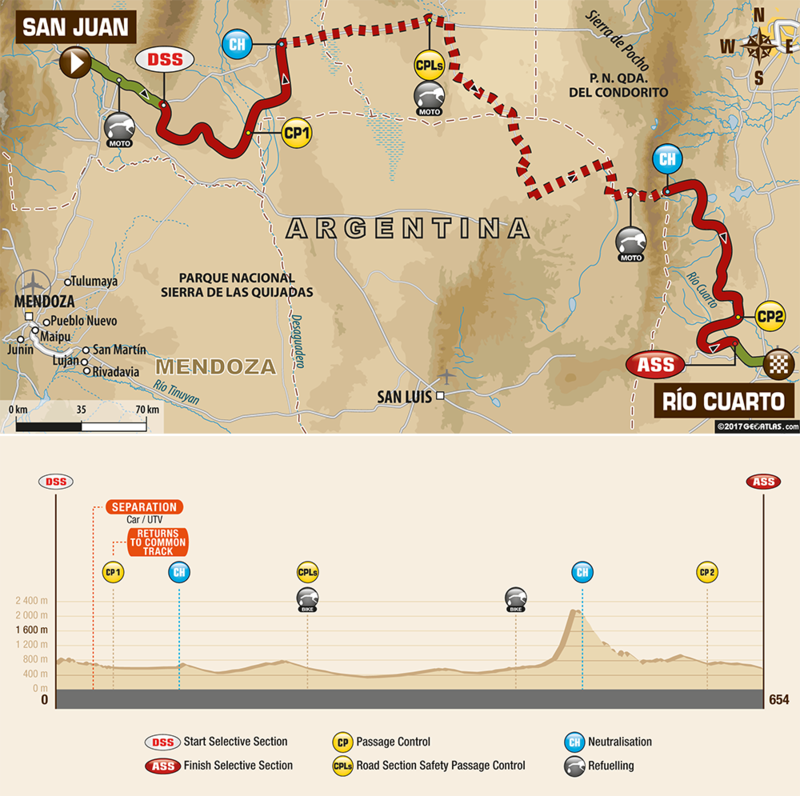 Check the Stage 11 maps here. 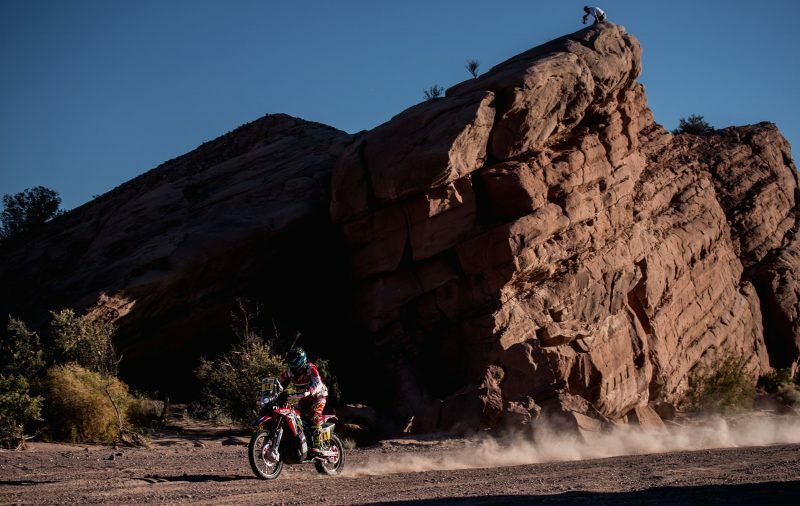 Today has been a very good stage. In the first part, where I had to be very careful, something wasn’t right. 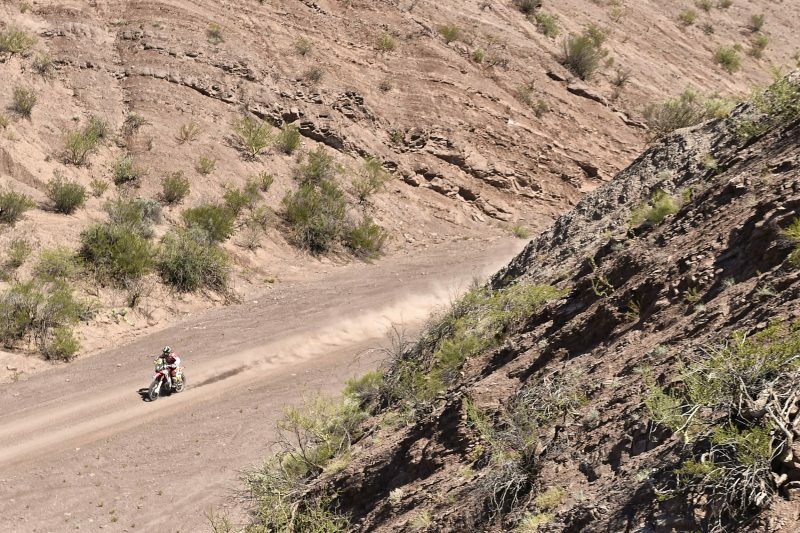 Several riders got lost in an area with a ford where one of the notes indicated a dead-end. I was trying it out until Michael Metge showed up and confirmed the position. 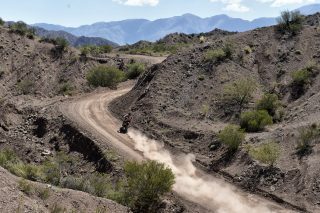 I did a little cross country before I found the right route. From there we pushed hard and the last part of the day featured a bumpy track in the style of American Bajas. It was great fun. Today has been a pretty full day. 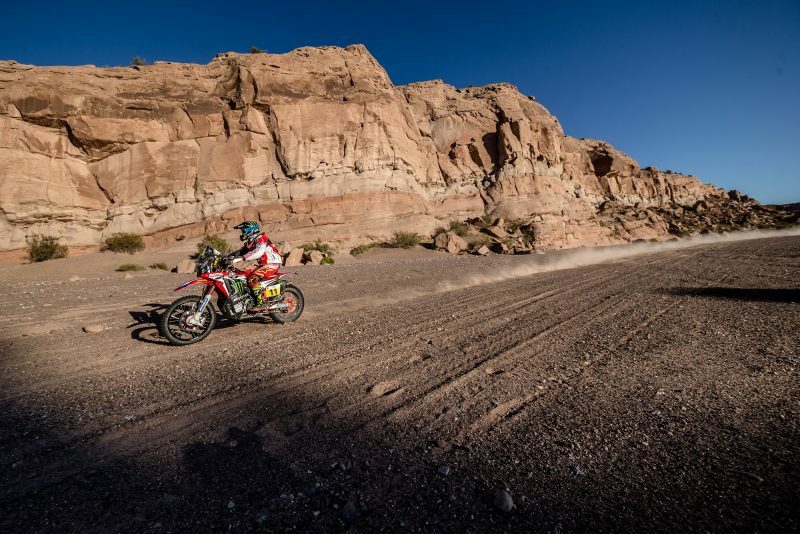 The first part of the stage - over 270 kilometres - had a very technical part, with a lot of trial and a lot of very complicated navigation. 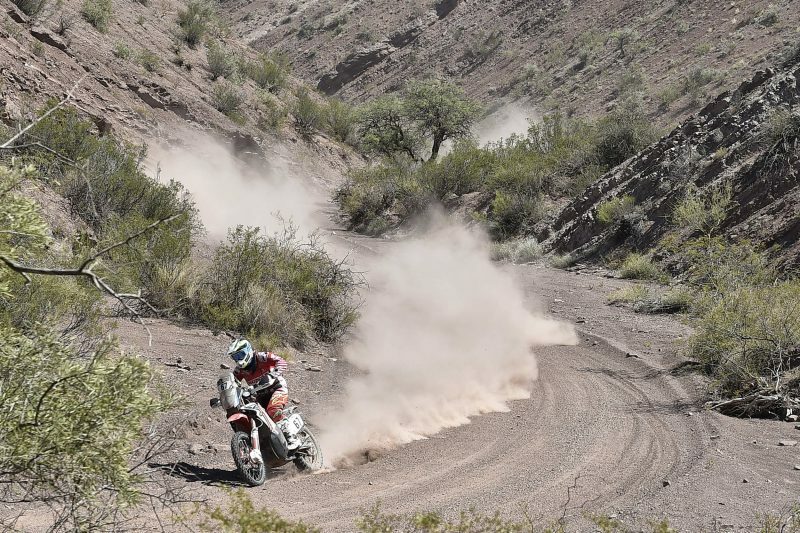 We did several kilometres in an area of trial and I lost some time finding the right course. The second part was faster but more intense technically. 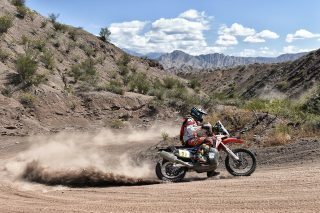 I tried to push to pull back some time. 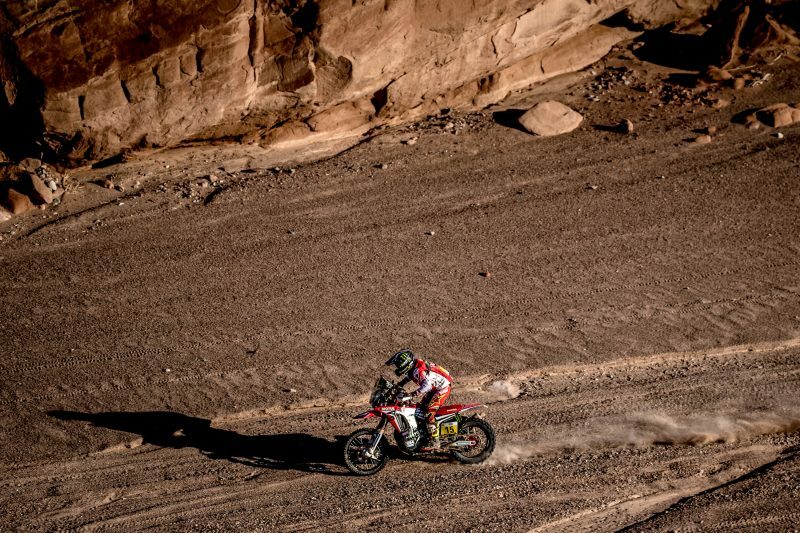 We have two days to try to do the best we can. 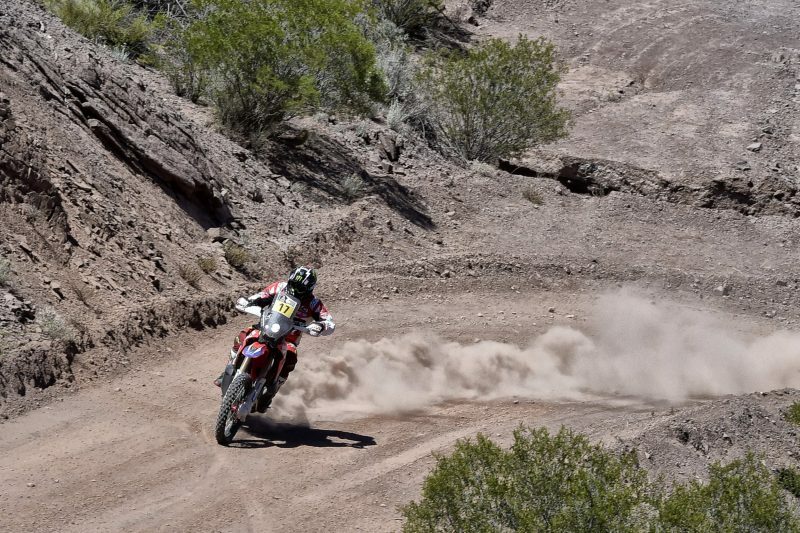 Well, today was difficult. Very difficult. 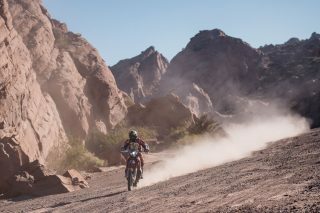 I would say that today we have ridden the most technically complicated stage in this Dakar. 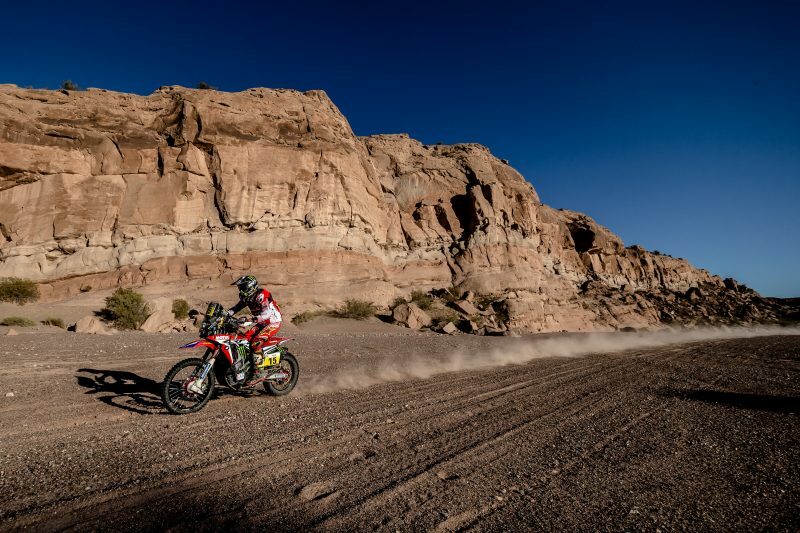 There was an initial part with quite a lot of navigation, alongside a river, where it was very hot and a very trial-like area. 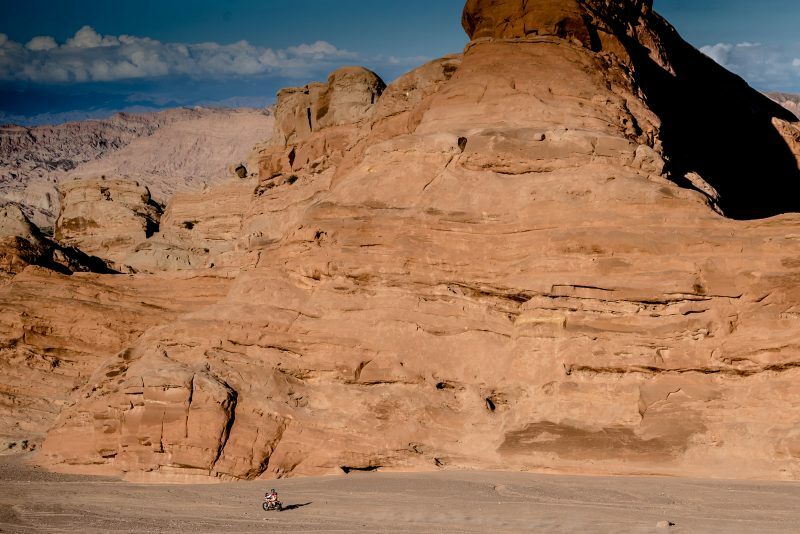 I found Joan and two KTM riders who are lost. 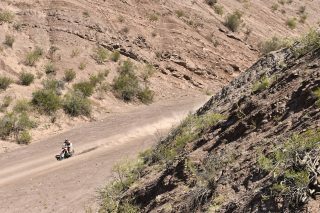 Joan opened track and I followed. 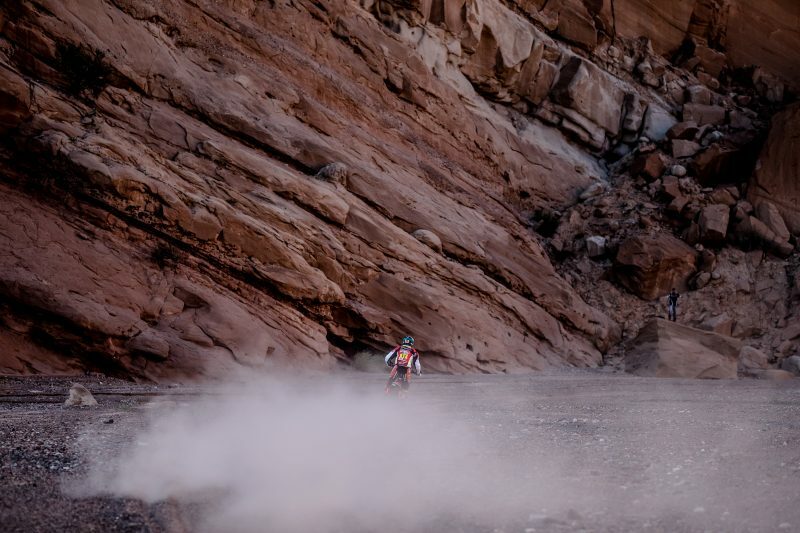 When I saw that there were two of us, I tried to speed up the pace in the second half. We were counting the kilometres and in the end I achieved the goal. I'm super happy to win my first stage of the Dakar. 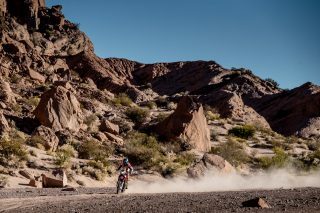 I'm very happy. It was a really nice day after the mechanics have worked all night like crazy on the bikes after what has happened over the previous stages, where they didn’t have much time off either. 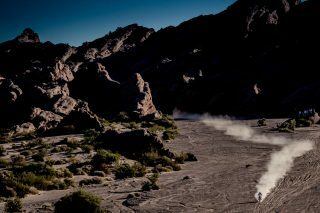 Achieving this result is very satisfactory: Mika has been extraordinary and Joan, fabulous. 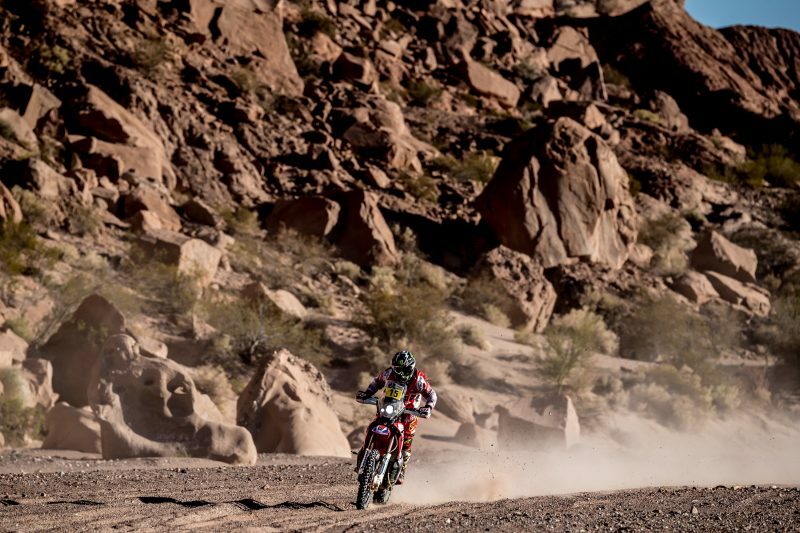 We will continue working and fighting until the end. Thanks to all team members for the efforts they have made despite the problems day after day.